60% Cotton, 40% Nylon BIZ COOL Breathable Rip Stop fabric. (Fluoro Orange contrast anels are 100% Polyester). Antibacterial treated fabric resist odour – keeps you cool and fresh. 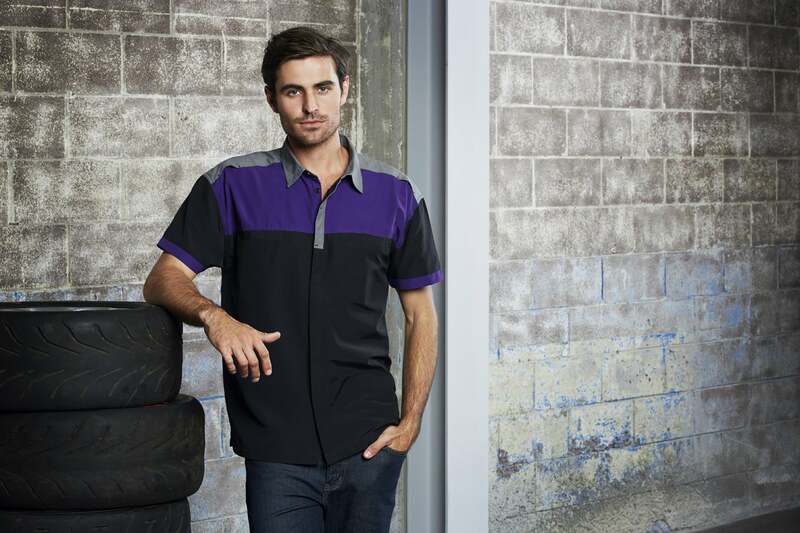 Back yoke air-venting with inner mesh lining for added breathability. Twin chest pockets with velcro closure. Excellent UPF Rating.